The Powerview dry combo includes a high-quality 2-window mask with enhanced vision, EZ adjust buckle technology, ClearVu tempered glass lens and hypoallergenic crystal silicone skirt and strap. The dry snorkel features TUSA Hyperdry Elite dry top technology (pat p) that stops water from entering into the snorkel, a drain chamber and purge valve for easy clearing and hypoallergenic crystal silicone swivel and mouthpiece. TUSA’s industry leading 3 year warranty. The Mini-Kleio dry snorkel combo includes a low volume 1-window mask and a dry snorkel that stops water from entering into the snorkel. 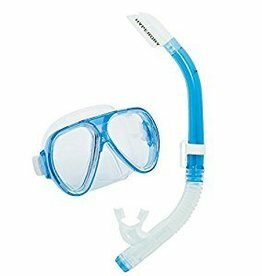 The Serene adult combo includes a Serene mask and a dry snorkel.